Join the newly promoted Ranger in another truly sensational Vacation Adventure in the great outdoors. Explore Pinecreek's fabulous new features and facilities including the American Indian Reservation, Red River Canyon & Geyser, Whitewater River Rafting, Lakeside Campground & Cabins and the Hill Country Cafe. Walk past Waterfalls, along the Apache Trail and explore gorgeous outdoor locations. Enjoy beautiful scenery, go boating, fishing and have summer evening Barbecues by the lake. Spot 100's of Animals, Birds, Fish and other Wildlife. Check everything out in a wonderfully illustrated Wildlife Notebook. Protect the environment and get souvenirs and awards as you go along. Vacation Adventures: Park Ranger 4 is rated 4.5 out of 5 by 39. Rated 5 out of 5 by J9CT from Beautiful, fun game!!!! Just did a review on park ranger 5 and this is pretty much the same. The games are quite similar with no real storyline but it has beautiful scenery, hidden object scenes that aren't as easy as they look and pretty simple puzzles in between. These games are good for this time of year, relaxing and fun. Rated 5 out of 5 by upsysydaisy from Many Praises to This Game What a quality game series!! I own all 5 and wish I had 5 more. They are so entertaining and such a great learning tool for children. Even adults will have fun learning. I was fortunate to experience our beautiful parks first-hand. Now in my later years, unable to travel, these wonderful games are just a lot of fun for me and conjure up some pleasant memories. I do hope that more Park Ranger games are coming to us or more similar games. I highly recommend to everyone!! Rated 5 out of 5 by evey1pr from home make up every good for the big perpeson and nice to injoy. Rated 5 out of 5 by utah79 from Relaxing! I love the Vacation Adventures series. It holds your attention and makes you use your brain to remember matches in the puzzles, Please get Park Ranger 5 out and Cruise 4. Rated 5 out of 5 by paully65 from Best HO game!!! I have waited so long for this game to come out! My favorites are the Park Ranger, Christmas, and Cruise Director series followed closely by the Halloween and Easter series. These games are nothing like any of the other HO games. I do not know what it is, but playing CA games is so relaxing and peaceful and VERY addicting (the throwing trash away sound comes to mind). The scenery is amazing and the music is not annoying. My favorite games by far. 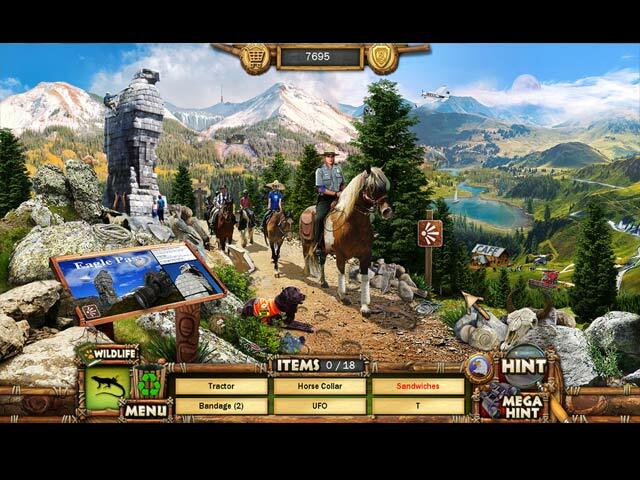 Rated 5 out of 5 by Sugarbabe from Love These Kind of hidden object games I have all series of Vacation Adventures Park Ranger. 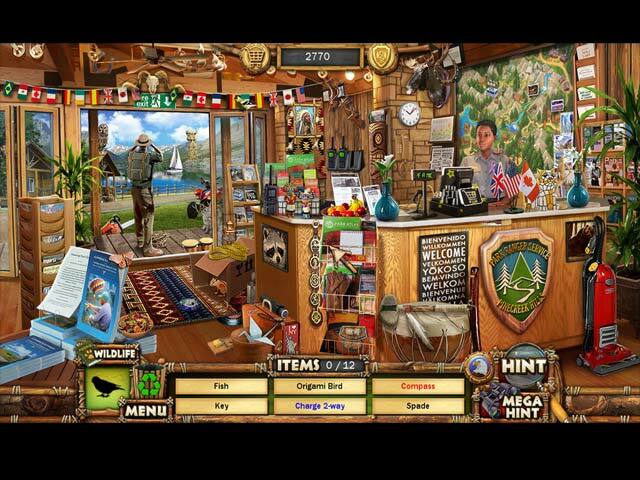 Its so much fun, I play this kind of hidden object games for hours. Rated 5 out of 5 by GoinCrazee_55 from Love This Series I really enjoy the Park Ranger games, some of my favorites of all time. The scenery in #4 is even more beautiful than prior versions. I love the little animated touches that bring life to the world, such as steaming coffee, etc. I enjoyed the new minigames such as paint by number, and did not miss a couple that went MIA :) Some of the search and finds can be tricky but the game lets you try again without losing your "eagle eye" bonus and thankfully you don't have to start over with the trash cleanup or wildlife spotting once you complete them. The only thing I found lacking was the story, not much at all along those lines. However, since that is not the main reason I enjoy the series it isn't that big of a deal. 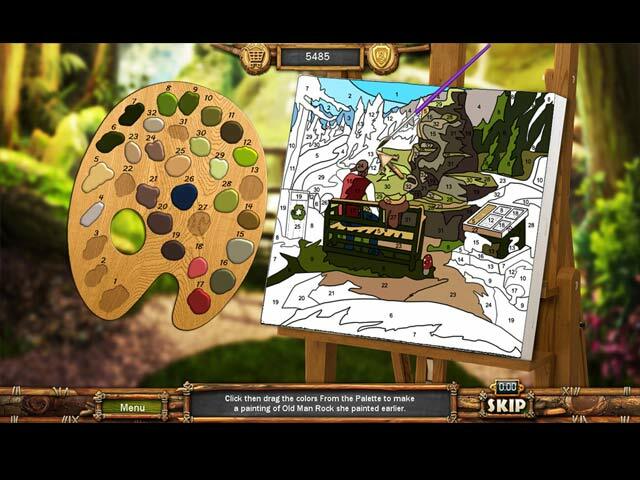 To summarize, well worth the price for anyone who enjoys hidden object games and great outdoor scenery. Can't wait to replay this one, and am anticipating #5! Rated 5 out of 5 by Nannykc from I love these games!! 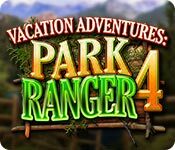 My husband and I love these games and I am really happy that Park Ranger 4 has come out... it is loads of fun... and in a way that doesn't make ya crazy chasing things around a maze... they are relaxing fun... Buy it... You won't be sorry! Rated 5 out of 5 by iou001 from How do you spell 'FAVORITE?' I love this series. It's one of the few games that I always love the storyline. And the graphics make it easier to find things because the items actually look like what they're supposed too. And these are one of the few games that I don't have to worry about my grandson playing without parental guidance. I'm already excited for Vacation Adventure: Park Ranger 5! Rated 5 out of 5 by graceland9 from Great Atmospheric HO! I loved everything about this game. There are no fancy bells or whistles, just really challenging puzzles of all types to keep you playing for hours. Each HOS includes three levels: hidden objects (including jobs and click within scene - opening a backpack, for example) finding hidden wildlife, and picking up recyclables. Doing all the tasks earns you money so you can go shopping at the camp store for a map and souvenirs like Kachina dolls. You get to choose your gender. Once that's settled, you work to collect badges by picking up those water bottles and paper or spotting all the wildlife. The puzzles were a lot of fun, including putting together really tough puzzles, sliders, building a tower, point out the silhouetted wildlife, finding 20 pieces of camping equipment, etc. They weren't impossible but certainly pretty challenging, particularly if you're trying to earn a gold star within the time period. As I played, I loved the woodsy music and simple gameplay. It kind of felt as though I lay on my bank at camp, working my way through a puzzle book. Again, there are no incredible movie cutscenes or detailed back-storied characters, but this is a really entertaining buy from BFG. Pinecreek Hills just keeps getting better. Help Rangers protect Animals and Visitors, maintain and clean up the Park, spot Wildlife.